AHLA's Just-Updated Forms Manual is a Bestseller for a Reason. 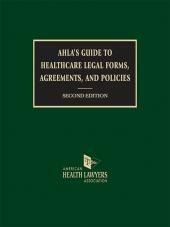 AHLA's Guide to Healthcare Legal Forms, Agreements, and Policies is designed to help you work more efficiently and accurately by providing hundreds of documents, checklists, and policies you can tailor to your clients' needs. 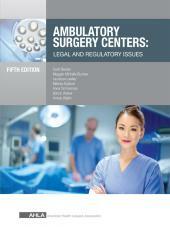 Collected from expert health law attorneys and AHLA members, the materials in this manuals’ two volumes span many areas of coverage, including transactions, corporate compliance, facility operations, fraud and abuse, governance, health information, contracting, labor and employment, physician practices, reimbursement and much much more.